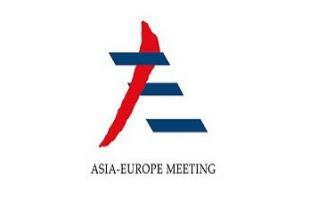 Given the increasing complications in international situations, this Asia-Europe Meeting is quite significant as it will not only strengthen trans-regional cooperation but also contribute much to global stability and prosperity in the long term. Generally speaking, the summit can promote cooperation in multiple fields, particularly the interconnectivity and people-to-people exchanges. As High Representative for European Union's Foreign Affairs and Security Policy Federica Mogherini said, connectivity is the way to the future and stronger connectivity brings more opportunities. This meeting provides an excellent opportunity for Asian and European countries to join hands to improve the connectivity between these two continents and create more development opportunities. Besides the meeting is expected to introduce new measures to increase people-to-people exchanges. Cultural exchanges have always been a pillar of the 24-year-old mechanism. Meanwhile it is also important for China and Europe to enhance collaboration based on the ASEM platform. In general, China and Europe could seek closer ties in the following aspects. The European Commission and the High Representative of the Union for Foreign Affairs and Security Policy adopted a Joint Communication on Sept 19 that sets out the EU's vision for a new and comprehensive strategy to better connect Europe and Asia, this is viewed by some as the European version of the Belt and Road Initiative. The two parties should work together with the common goal to improve Asian-European connectivity. Second, they should strengthen collaboration in global governance and confront various global issues including climate change and regional security as the two share common interests and appeals on many fronts. Most important, a better environment for two-way investment and trade should be established to build closer ties. All in all, China and Europe don't have many fundamental disagreements to hold them back from collaboration. And with the background of rising populism in Europe and the protectionism of the United States, the opportunities for China and Europe to enhance cooperation count much more than the challenges. As to the criticism that China has divided Europe through cooperation with Central and Eastern European countries, it should be made clear that the internal inconsistencies within Europe should not be attributed to any external forces, including China. Whether this Asia-Europe Meeting can deliver tangible results to boost trans-regional connectivity deserves much attention. As an advanced economy, the EU has encountered many problems since the European debt crisis. As result of its slide from economic prominence and lack of relative competitiveness, the EU has been stuck between the US and the large emerging economies, which include China. This dilemma has led to a two-sidedness in its China policies. On the one hand, it joins hands with China to uphold free trade and multilateral trade system. On the other, it criticizes China for its government procurement, not easing market access enough and not protecting intellectual property rights; part of the agreement that the EU inked with the US obviously targeted China. As a matter of fact, China and Europe share a lot of common interests on a number of issues including climate change and the Iran nuclear issue. Also they share similar ways of thinking in development as the EU's Asia-Europe strategy to improve connectivity clearly mirrors China's Belt and Road Initiative. The space for cooperation therefore is immense. China's practice of developing relations, including trade relations with both the EU and its individual member states, conforms not only to all the parties' interests but is also conducive to social and economic convergence within the EU. The charge that China is trying to drive wedges between European countries reflects misunderstanding.